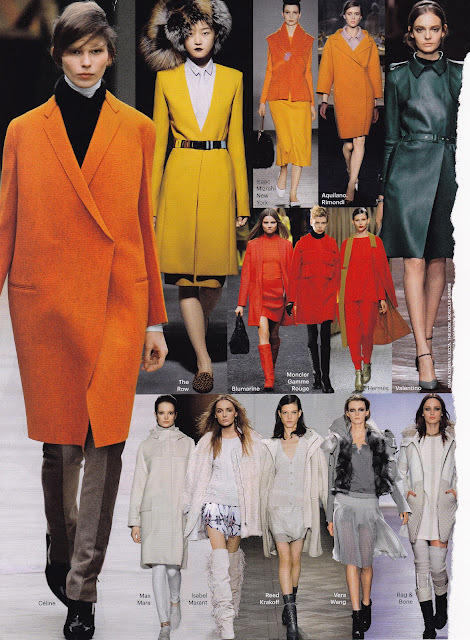 Burberry was not the only one who was inspired by vintage when it came to coats this season. 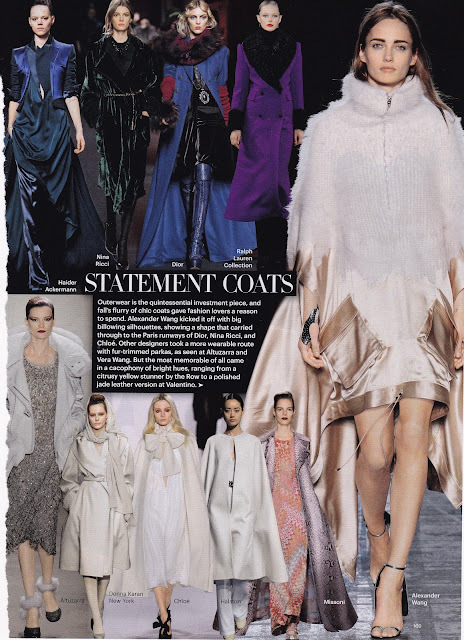 As you can see from Fall's forecast in the pages of Harper's Bazaar, statement coats were everywhere on the runways. Designs from Celine to Valentino to The Row all celebrated the colors and clean lines of the mid-century modern 50s and 60s. My favorite, of course. Texture means a lot to me as well, and it was another important detail in the fabrications that seemed inspired by movies like Pillow Talk and Givenchy's Breakfast at Tiffany's and Funny Face. The coats from Bottega Veneta (above) and their coodinated separates just might be my favorites from the current collections. Gee, Kimberly, isn't it wonderful to see COLORFUL coats once more? I'm sick of wading through a sea of black and gray all fall and winter long. 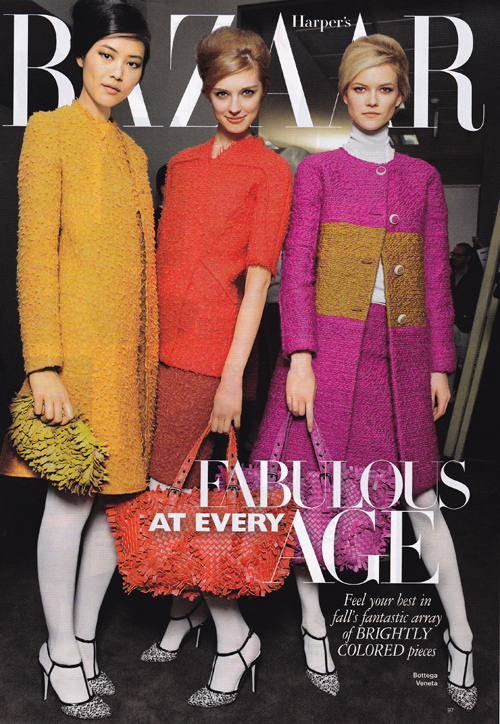 Hooray for the brave souls who channel Audrey and Doris and fling on a joyful coat!